While modern parents have a lot of new challenges that previous generations never had (screen addictions and peanut allergies anyone? ), one advancement I’m eternally grateful for is the internet. Here are eight times the world wide web saved my sanity after I became a mum. Whether it was a strange pain or itch during pregnancy, or one of my children breaking out in an odd rash, good old Doctor Google was right there at my fingertips to put my mind at ease. Of course you can’t take everything you read online as gospel, but it’s a good starting point when you’re freaking out and the doctor isn’t available until the next day. Can I eat this type of cheese while expecting? How much sleep does my newborn need? What’s the best way to express milk? Why is my toddler behaving a certain way? No matter the question, I almost always found the answer online, which meant I didn’t need a stack of books or expensive courses to get up to speed when it came to being a new parent. It’s also saved me hours of time in research: finding party entertainers, preschools in my area, how to make a child’s hat out of newspaper, or what recipes are good for sneaking in veggies became so much easier to find. I bow down to all the parent Facebook community groups out there! If there was ever a tricky question that Google couldn’t help me with, or I was after a personal opinion such as which daycare was best in my local area, there were hundreds of mums at my disposal ready to help or offer advice. 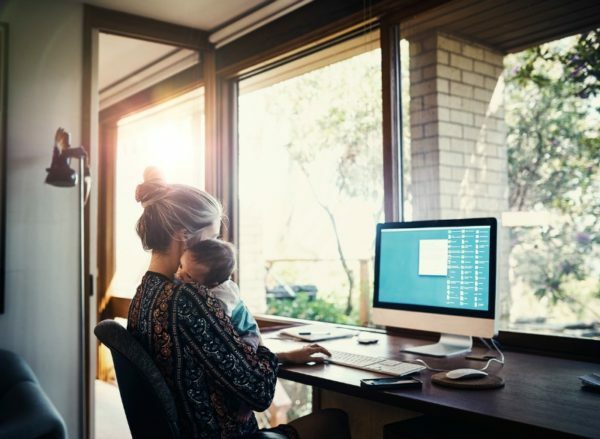 The same goes for being connected online with friends and family – it’s not always easy to pick up the phone to your friend over in the UK to unload your day’s mum fails, but with email and social media no one’s ever far away no matter how isolated you are. Grocery shopping with three boisterous little boys? Or how about trying on new dresses for an upcoming wedding with a baby strapped to your front? No, thanks. Online shopping has saved my bacon many times as a busy mum who prefers to shop in her PJs at home rather than while wrangling little monkeys out at the shops. Netflix shows, inspirational videos, hilarious mummy blog articles and parenting memes – the list goes on. The internet provides endless hours of entertainment, which I’ve often tapped into for a much needed chuckle or distraction from the more tiresome or difficult mum days! Oh, and cat videos. Can’t forget those awesome time-wasting cat videos. You can do almost anything online now, from claiming medical bill rebates, to paying bills and booking doctor’s appointments. It’s saved me so much time and hassle. It also came in handy when my little ones were asleep and I didn’t have to wake them up to head out and run errands. Not every job can be done using a computer of course, but luckily mine can! Emails and online networking systems have made it possible for me to enter into the workforce again, all from the comfort and convenience of my home while the kids are still young. And if you’re a budding mum entrepreneur or blogger? Well all you need is the internet and you’re away! I can’t tell you how many times I’ve jumped online for parenting inspiration. Fun places to go with the kids, simple craft activities to do at home, children’s bedroom styling ideas – it’s all right there on your smartphone, ready to scroll through between milk feeds or while the pasta boils. Honestly, on behalf of mums and dads everywhere, thank god for the internet! How has the internet saved your life as a parent? Tell us on Facebook!